This arti­cle explains how to install Craft 3 on macOS Mojave. We’re going to use Lar­avel Home­stead for our local devel­op­ment environment. The advan­tage of using Home­stead is that its tech stack (Ubun­tu, PHP, Mari­aDB, nginx) will match our pro­duc­tion envi­ron­ment on Lin­ode. Home­stead cre­ates a Lin­ux vir­tu­al machine (VM) on your com­put­er (host). Addi­tion­al­ly, we’re going to install Craft 3 using Com­pos­er. If you don’t have Com­pos­er installed then fol­low these instal­la­tion steps. Installing the pre­req­ui­sites is pret­ty straight­for­ward since both have instal­la­tion packages. Installing Home­stead is a bit more involved since it’s not as easy as down­load­ing an installer. We’re going to install Home­stead using Git. The con­ven­tion is to clone the repos­i­to­ry into a local Home­stead folder. Since Home­stead is under con­stant devel­op­ment it’s safer to use a tagged release. This helps ensure you’re work­ing with a sta­ble ver­sion. We’ll use v7.19.2. Now from inside the Home­stead fold­er run this ini­tial­iza­tion script. The ini­tial­iza­tion script cre­ates a Homestead.yaml file inside your Home­stead folder. This file is used to con­fig­ure the vir­tu­al machine. You can spec­i­fy the data­base (MySQL or Post­gres), the amount of RAM, num­ber of CPU cores to allo­cate for the VM & define your devel­op­ment sites. Below is the Homestead.yaml file we’ll use for this tutorial. The ip address used by the VM. Don’t change this value. The amount of RAM you want to allo­cate from your machine to the VM. The rule of thumb is ⅛ of your machine’s RAM. My com­put­er has 16GB so I’ve assigned 2GB (2 x 1024 = 2048). The num­ber of CPU cores you’ll allo­cate to the VM. I have a quad-core machine so I’ve assigned 2 cores to the VM. If you have a dual-core machine then only assign 1. Defines the vir­tu­al­iza­tion soft­ware. In our case it’s vir­tu­al­box. We added this line to use Mari­aDB as our database. You don’t need to change these values. folders In this sec­tion, we define the loca­tion for the Craft site; on both your local com­put­er & inside the VM. This is the loca­tion of the Craft site on your local machine. This is the loca­tion of the Craft site inside the vir­tu­al machine machine. The default fold­er for Home­stead projects with­in the VM is /home/vagrant/code/. An inter­est­ing tid­bit is that your local com­put­er & the VM will sync files across to each other. So you can edit a file with­in the VM and it’ll sync back to your Mac. And the more com­mon sce­nario is also true, when you edit a file on your Mac it’ll be synced to the VM. By enabling the NTFS option, that file sync­ing process can hap­pen a bit more efficiently. In this sec­tion, we define our local devel­op­ment domain & map it the Craft 3 pub­lic direc­to­ry with­in the VM. Here you define the local devel­op­ment domain. This is the loca­tion of the Craft pub­lic direc­to­ry with­in the VM. In Craft 3, the web root is the web folder. Home­stead will cre­ate an emp­ty data­base for you. Here you pro­vide the name. We’ve called our data­base craft3tut. And that’s all we need to pow­er on the VM. So copy the con­tents of the Homestead.yaml above into yours & save. Now make sure you’re in your Home­stead fold­er and pow­er up Homestead. Go grab a cup of ☕️ cause the instal­la­tion will take a while. 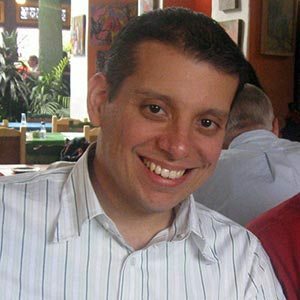 In Homestead.yaml, we con­fig­ured our local domain to demo.crafcmstutorial.test but we actu­al­ly have to edit our Hosts file to make this work. You’ll be prompt­ed for your macOS admin pass­word to con­firm this change. Or you can use a GUI client like Gas Mask. 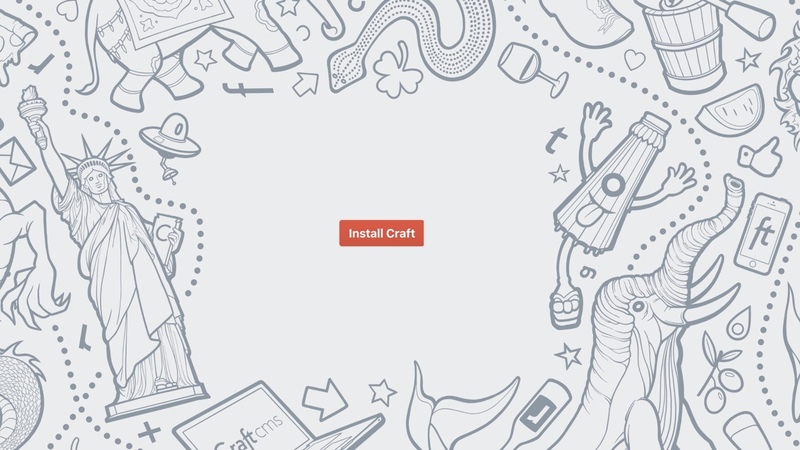 So we’re final­ly ready to install Craft 3. But we’re going to use a scaf­fold by Andrew Welch of nystudio107.6 It includes the core Craft 3 instal­la­tion along with addi­tion­al plu­g­ins that help with devel­op­ment & maintenance. Go to your projects folder. Once it’s done — SKIP the steps where it says to run the final setup com­mands because we’ll fin­ish installing via the browser. But first we need to con­fig­ure the database. With those in place we can now load our browser. Go to http://demo.crafcmstutorial.test/admin & you’ll be redi­rect­ed to the instal­la­tion page. You’ll know you’re at the right place if you see a psy­che­del­ic back­ground with a big red Install Craft button. Enter your admin user, email & password. Enter the site name, base URL & language. Then wait a lit­tle bit as Craft fin­ish­es installing. You’ll be redi­rect­ed to the admin con­trol pan­el. There isn’t any sam­ple data. Nor even a work­ing front-end. That’s all left up for you to build as you wish. I lied before. We actu­al­ly are going to run one of the setup scripts I told you to skip. Some­times the Craft CLI has a hard time con­nect­ing to the Home­stead database. Now that Craft 3 is installed and the data­base is con­fig­ured, we can run the nystudio107 setup script. Setup complete. Have a nice day! The most impor­tant change is that site con­fig is now man­aged in .env.php (instead of the default .env). Also review config/general.php. Notice how you can con­trol site set­tings per envi­ron­ment. So devMode & allowUpdates are enabled on local but not on stag­ing or pro­duc­tion. The nystudio107 scaf­fold does come with some bare­bones tem­plates but it’s pre­con­fig­ured to use Tail­wind CSS & Vue.js. If you want to con­tin­ue build­ing upon those starter tem­plates then def­i­nite­ly read this article. So now you have your brand new Craft 3 site run­ning on Lar­avel Home­stead. Go forth and build! If you’d like to learn how to have your new site load secure­ly (HTTPS) then read this arti­cle. When it’s time to update Home­stead check out this article. Now Home­stead does have its draw­backs: lots of mov­ing parts (Var­grant, vir­tu­al provider & Home­stead), some­what resource heavy, you don’t have full con­trol of the tech stack & finicky con­fig­u­ra­tion which isn’t easy to share across teams. But for the most part, if you have decent rig & your projects are fair­ly recent (in terms of tech stack) then iden­ti­fy­ing any poten­tial serv­er con­fig­u­ra­tion issues ear­ly on is worth it for me. Addi­tion­al­ly, I can run mul­ti­ple projects on the same VM. How­ev­er, if you need more con­trol of your tech stack (ex: pro­duc­tion serv­er is run­ning Mari­aDB 10.1.37 while most recent Home­stead uses 10.3.10) then Home­stead may not be a good fit. In that case I’d go with Dock­er. In a fol­low-up arti­cle, I’ll walk­through installing Craft 3 local­ly using Docker. Agree? Dis­agree? Let me know @AlexAguilar18 on Twitter. Sign up to receive our articles on Craft CMS development directly to your inbox.